Home » Nymphs and Merveilleuses. » Chapter III., The queens of Paris. 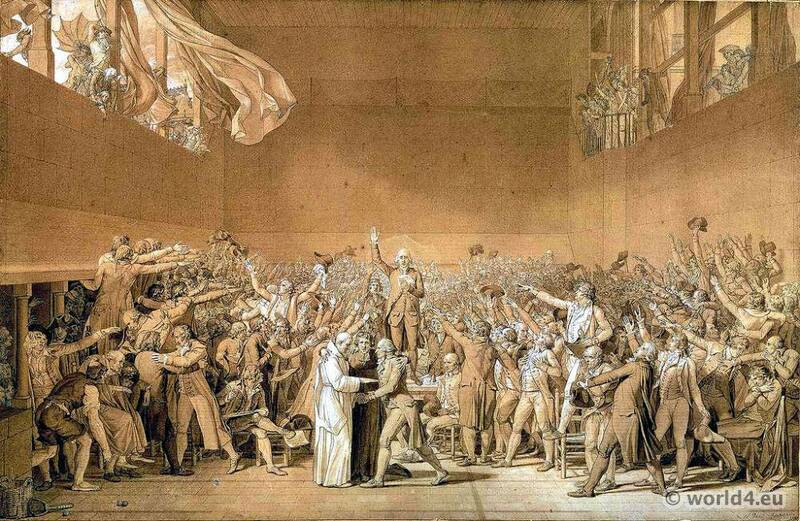 The Tennis Court Oath 1789 by Jacques Louis David, 1791. Never did the French nation offer to the eyes of the observer a spectacle more strange, more incoherent, more varied, more inconceivable, than that which it presented at the beginning of the Directory. The Revolution had submerged everything— traditions, morals, language, throne, altar, fashions and manners; but the specific lightness of the people swam on the top of all these ruins; the spirit of carelessness, of romancing, of pertinency, that never-dying spirit, grumbling and laughing, precious foundation of the national character, reappeared on the morrow of the storm more alert, more vivacious, more indomitable than ever. 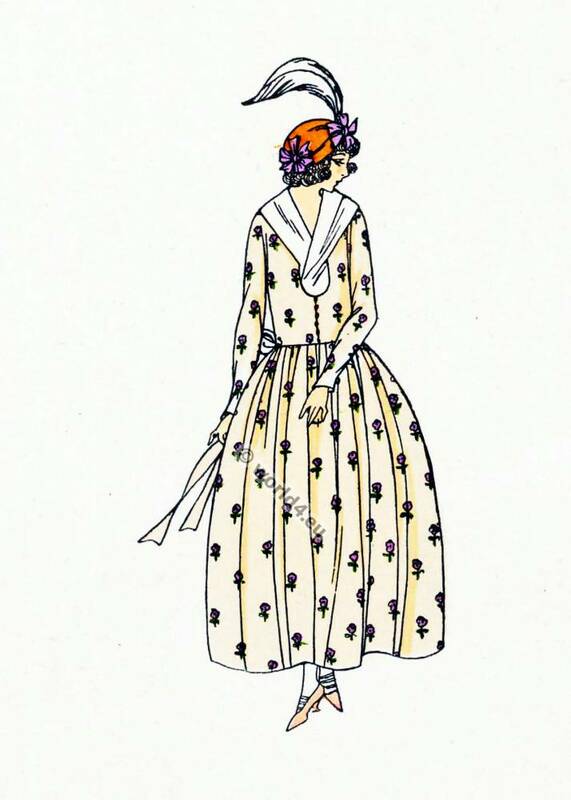 As nothing remained of the past, and as it was impossible to improvise in a day a society with its harmonies, its usages, its garments entirely unedited, they borrowed the whole from ancient history and nations which have disappeared. Everybody muffled himself, played the part of old lady or gentleman, all took the disguise they liked; it was a general travesty, an unlimited carnival, an orgie without end and without reason. One cannot regard, at the present day, this epoch as a whole, and in the minute details of its working, without believing in an immense mystification, a colossal caricature composed by some humorist of the school of Hogarth or Rowlandson (William Hogarth 1697-1764, Thomas Rowlandson 1756-1827). Still, in despite of these Parisian follies, our armies of Sambre-et-Meuse, of the Rhine and of the Moselle, as well as our glorious battalions of Italy, carried wide the renown of our arms and the germs of liberty; the whole world re-echoed our victories; the prodigies of Bonaparte disquieted old Europe, and one might have thought that so much glory was capable of giving at once pride and wisdom to the dancing jacks which had made of Paris a dazzling puppet-show impossible to describe! Nothing of the kind. We can scarcely believe that, in the midst of the victories of Ney, of Championnet, and of the General Bonaparte, no enthusiasm was perceptible in the capital, on our boulevards and public places not a single movement of joy. If we may credit the contemporary journals, people passed coldly, with the most complete indifference, beside the criers who announced the greatest successes of our generals; it was peace that was desired, tranquillity, abundance. Stockjobbing had gained all classes; the drunkenness of the masquerade annihilated noble ideas in every brain. The Écrouelleux, the Inconcevables, the Merveilleux, with their chins hidden in their inordinate cravats, cursed the Government of the Directors, misunderstood the merits of our soldiers, saying, with their fastidious air. On the word of a victim, this cannot last! The fêtes even, given by the Directory to render homage to the valour of our brave men, were sometimes without dignity and true grandeur; bad taste was flagrant, and the comedism of these ceremonies did not exclude ridicule. 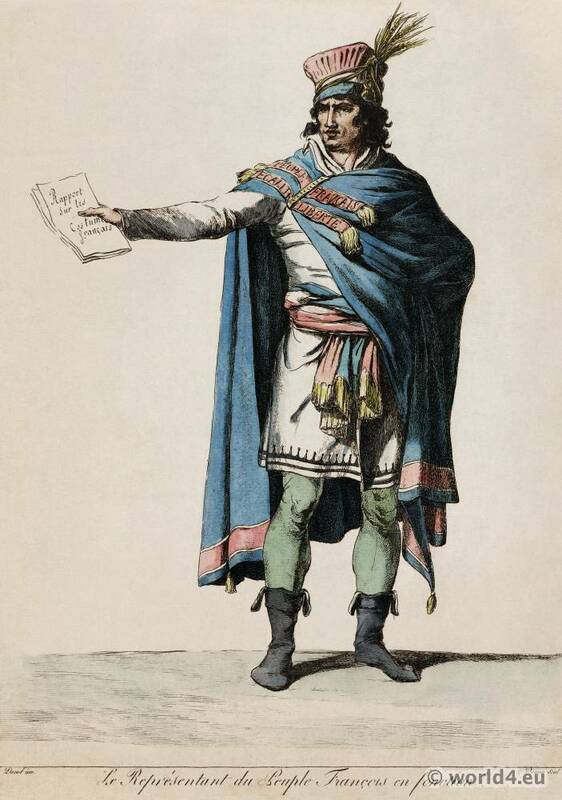 When Junot came to the Government with the colours taken at the battle of La Favorite, he was received, like Murat, with grand preparations; but the aide-de-camp Lávallette, in a letter to an intimate friend, relates with what pomp more modest receptions were usually managed. “I have seen,” he wrote, “in the apartments of the petit Luxembourg, our five kings, clad in a mantle of Francis I., bedizened with lace, and wearing on their heads a hat of Henri IV. 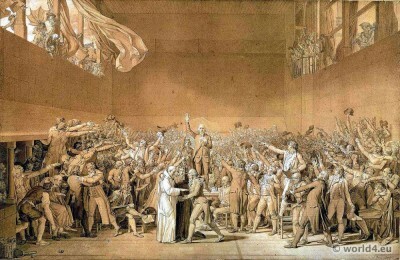 The figure of La Revellière-Lépeaux (Louis-Marie de La Révellière-Lépeaux 1753-1824 was a politician during the French Revolution and 1795-1799 Member of the Executive Board.) looked like a cork fixed on a couple of pins; M. de Talleyrand (Charles-Maurice de Talleyrand-Périgord 1754-1838, was one of the most famous French statesman and diplomat during the French Revolution, the Napoleonic Wars and the Congress of Vienna. 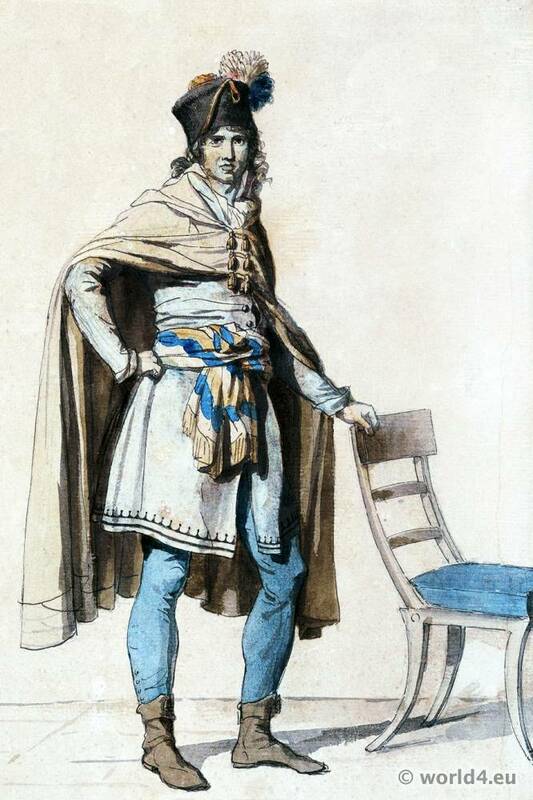 For his services he received several noble title: 1806 Prince of Benevento, 1807 Duke of Talleyrand-Perigord and 1815 Duke of Dino) in silk pantaloons of the colour of wine dregs, seated on a folding-chair at the feet of Barras, presented gravely to his sovereigns an ambassador of the Grand Duke of Tuscany, whilst the General Bonaparte was eating his master’s dinner. Besides the fêtes dedicated to victory, the Government of the Directors had, after ancient usage, instituted public festivals at fixed dates, in honour of the Republic and of its foundation; others were consecrated to the Fatherland, to Virtue, to Youth; there was even the Festival of Spouses, a strange idea in a time when divorce was the rage, and when one would never have dreamed of raising the smallest shrine to Fidelity and still less to Constancy. The Luxembourg, of which the five Directors had taken possession, had become, as the poet Arnault (Antoine-Vincent Arnault 1766-1834 Souvenirs d’un sexagénaire, 4 vols. 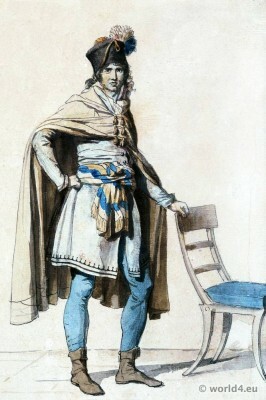 8vo, 1833.) remarks, a veritable Court; and as that court was very accessible to women, thanks to the voluptuous Barras, these had brought their sweetest manners. 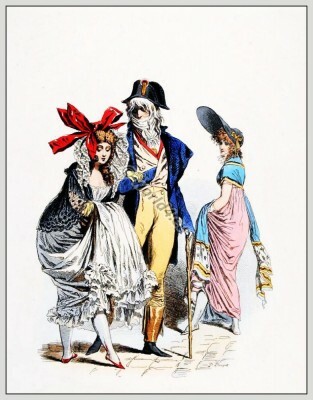 Gallantry had caused to disappear, little by little, the Republican austerities, and women were recovering in a great measure the empire of which they had been dispossessed during the long reign of the Convention. “This woman,” write the portrait-painters of the Directory (3) with too much enthusiasm, “is the fairy of the Luxembourg. She adorns its ceremonies with her smile. She organises its parties and its galas. She changes, metamorphosis herself to restore their youth to its fêtes and give them a new attraction. 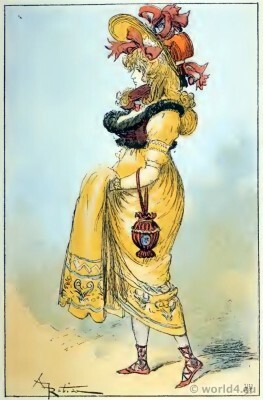 Sometimes it is Calypso receiving the friends of Tallien in her cottage of Cours-la-Reine, and promenading them under the canopies of verdure interlaced with emblems, among the trees, as the nymph of the god; at the Palais de Suresnes she is a countrywoman of Frascati, a goddess disguised who betrays herself in her walk! As a light sceptre, with which her fingers trifle, she holds in her hand the superintendence of taste, and by her the pianofortes of the civil list, of which the melodies had been allowed to slumber, are distributed to the fair hands worthy of awaking them. Through her the directorial mansion is filled with collections of music of Marie-Antoinette, Madame Victoire, Madame Élisabeth (Élisabeth Philippine Marie Hélène de Bourbon, called Madame Élisabeth 1764-1794 executed in Paris. She was the youngest sister of King Louis XVI. ), Madame de Bombelles (Marie-Angélique Mackau 1762-1800). She is among the five kings obeyed like a Grace who rules after her slightest will; her example is authority for the detail and decoration of their interiors; does she doat on porcelain of Sèvres, ministers and directors at once have a tea-service upon their tables. One may add to this radiant portrait that the ci-devant Madame de Fontenay showed always before all the disinherited an inexhaustible charity, a thing which caused it to be said with reason that if the citizeness Bonaparte had acquired the surname of Notre-Dame des Victoires, the charming Tallien merited in every way that of Notre-Dame de Bon Secours. The most striking drawing-room of the Luxembourg, that where the best company used to meet, was incontestably that of Barras (Paul-François-Jean-Nicolas, vicomte de Barras 1755-1829 Member of the Executive Board, President of the National Convention.). He was simple and full of bonhomie; there was little conversation with that spirit of talk of former days, but there was laughter, play, and unrestrained pleasantry. Monsieur de Talleyrand sat there complacently at a table of bouillotte. Madame de Staël came thither to whisper with Marie-Joseph Chénier, or François de Neufchâteau. The other Directors received each one day of the decade, but their receptions were not striking. 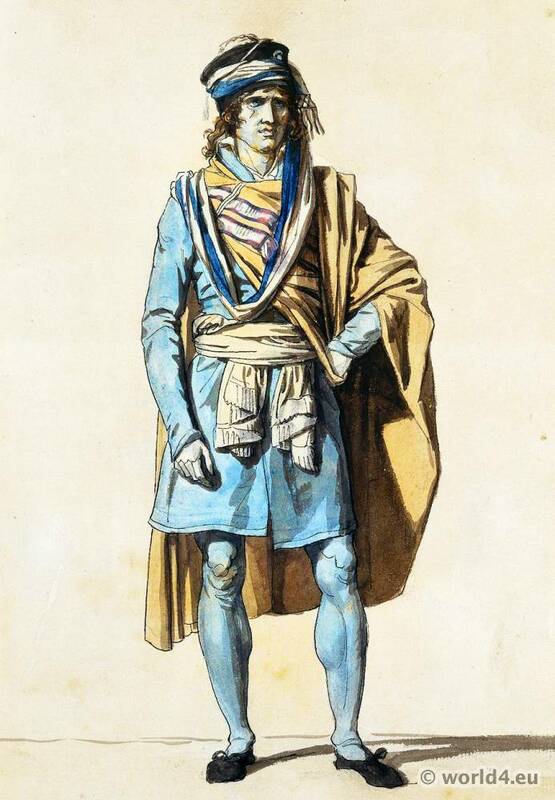 At La Révellière-Lépeaux’s — Laide peau, as he was nicknamed — the vulgariser of théophilanthropie, nothing was talked of but the new religion, and one’s “vices were put to the torture.” At Carnot’s, who gave miserable soirées in a swell room with a low ceiling, a few warlike ariettes were sung, and the only oath was by the “Evangel of the gendarmerie.” At Letourneur’s and Rewbell’s it was still worse: there was no talk, nothing but yawns. 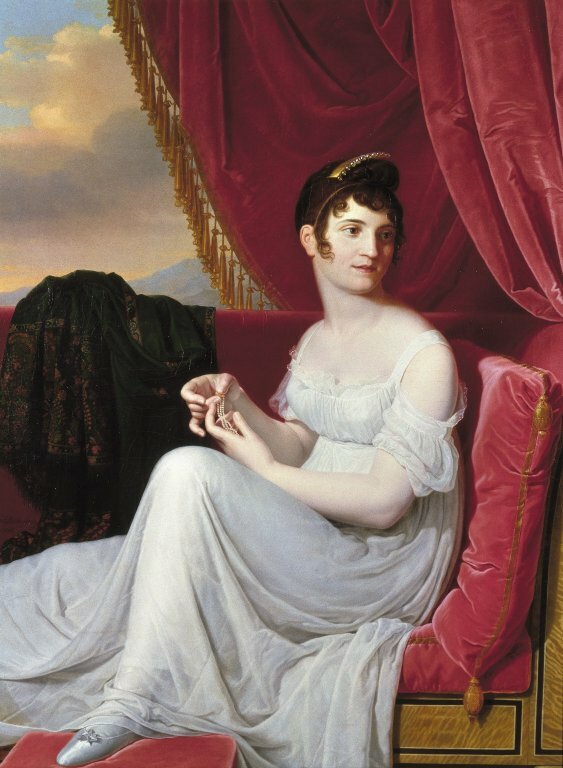 But all France was not at Paris; it was represented above all at the Palais Serbelloni in Milan, and at the Chateau de Montebello, where a brilliant court was eager to render homage to the seductive Josephine, who by her grace made no fewer conquests than her illustrious spouse by his genius. (2) Petite paste. Nivôse an V.
(3) La société française sous le Directoire, chap. x. Content: Chapter I., Chapter II., Chapter III., Chapter IV., Chapter V., Chapter VI., Chapter VII.